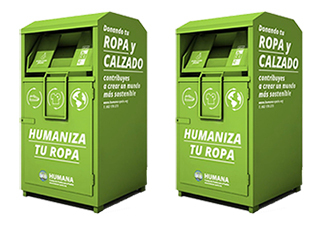 You can deposit your clothing, shoes, and textiles into any of our 5,000 containers in Andalusia, Asturias, Castilla Leon, Castilla La Mancha, Catalonia, Valencia, Galicia, Madrid, Islas Baleares, Navarra and La Rioja. You can also bring your clothing and shoes to any of our 49 stores in Barcelona (19), Reus-Tarragona (1) Madrid (25), Sevilla (3) and Granada (1). Would you like to see what we do with your clothing?